It's been a great summer in the SHSU Department of Art. Even though we are surrounded by construction, we are still open and we've been busy. Now that summer is winding down, I'm starting to get excited about the plans for the upcoming academic year. We have a great schedule of exhibits and visiting artists. Be on the lookout for newsletters with information on gallery exhibits and our fall lecture series. An exhibit of works by former faculty, alumni, and visiting artists selected from the University Art Collection. Including works by James Surls, Richard Notkin, Emma Luna, Charles Jones, Lee Baxter Davis, May Schow, Stanley Lea, Jimmy Barker, Kenneth Zonker, Jacob Jaso, Misty-Dawn Haney, Autumn Dowdy, Colton Clifford, James Miler, and Frank Graham. Featuring works by students who travelled to Italy this summer and made art inspired by their experiences, and works by students who worked with Huntsville community organizations last spring. Works by James Surls, Emma Luna and May Schow on view now in the 3G. 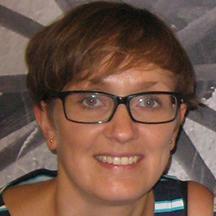 Barbara received her PhD from University of California, Santa Barbara, and her MA from the University of Warsaw. Her research is in Northern Renaissance art. 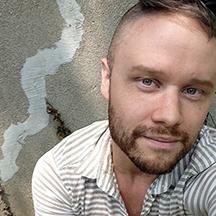 Mica received his MFA in 2-D Studies from University of Cincinnati in 2012. He has been exhibiting his paintings around the world and teaching at the Art Institute of Ohio. 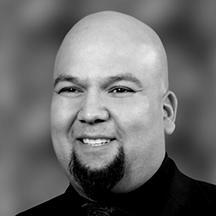 Cesar received his MFA from Texas State University and has been on the faculty there since graduating in 2015. 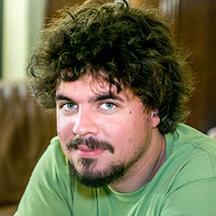 He will be teaching Web and Interactive Design and Motion Graphics. Caleb is returning to SHSU where he received his BFA in Computer Animation in 2009. He recently finished his MFA at the Viz Lab at Texas A&M. Dr. Melissa Mednicov, Assistant Professor of Art History has published an Exhibition Review of Rebecca Marino: The Best Available Evidence in Glasstire, August 8.
a 2 Person Exhibition at Terrault Contemporary, Baltimore, MD, August 13 - September 5. Valerie Powell, Assistant Professor in WASH, will give a presentation at the Seventh International Conference on The Image, in Liverpool, UK, September 1-2. Chuck Drumm, Professor of Art, exhibited in My Absence, an exhibition of 46 portraits from around the country, at uBe Art Gallery in Berkeley, CA May 5-June 26. Max Manning, Gallery Technician, is exhibiting work in The Big Show, at Lawndale Art Center in Houston, July 22-August 27. 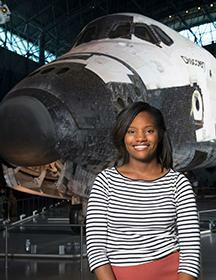 Camille Hay graduated with a BFA in Graphic Design in May and spent the summer as an intern at the Smithsonian Institution in Washington, D.C. She worked in the exhibits design department of the National Air and Space Museum, providing graphic support for special events, family days, creating museum signage graphics for other museum departments such as communications and education. The Department of Art received a grant from the Powell Foundation to support several projects related to Art Education. Art on the Edge , led by Art faculty Edie Wells and Education faculty Rebecca Wentworth, was a two week summer camp for middle and high school students. The campers learned about art made by children living in challenging conditions. They read stories written by the children and made art and wrote stories inspired by them. The camp culminated in an exhibition of the campers' work. They sold their arts and crafts and raised over $300 that they donated to community organizations. 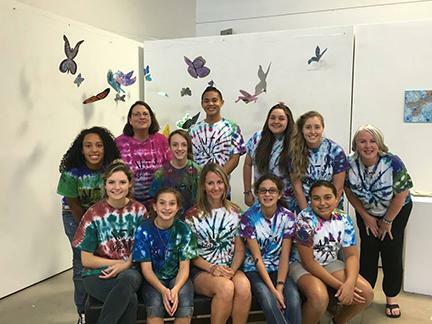 Art Faculty members Edie Wells and Cynthia Reid led a 4 day Summer Studio Intensive Camp for Art Educators. The retreat style workshop was designed to re-energize creative practice, facilitate the exchange of ideas, and inspire teachers to return to the classroom with new projects. The Powell Foundation Grant will also support Animation in Education, a project that will take Animation students and faculty into public schools to conduct workshops this fall. Art on the Edge campers and teachers. 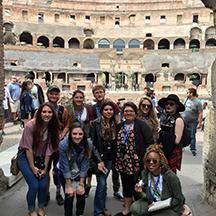 Department Chair Michael Henderson and Art History Professor Melissa Mednicov took 10 Art Students to Rome and Florence in May. The students studied Renaissance and Ancient Art and visited many important churches, museums, and archeological sites. The students continued their studies upon returning to SHSU by writing papers and making art about their experiences. Their work is on view at the Satellite Gallery where there will be a reception on Tuesday, August 30.